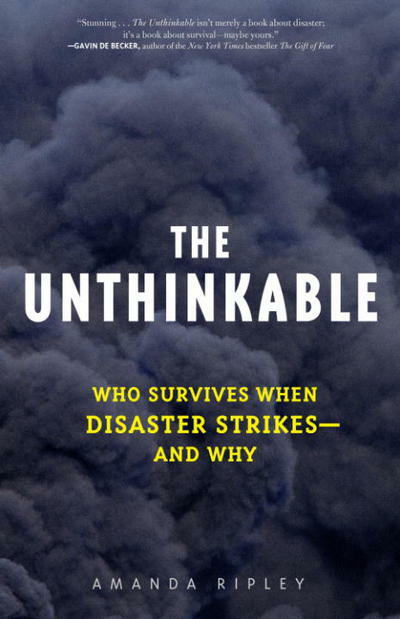 Amanda Ripley, an award-winning journalist for Time magazine who has covered some of the most devastating disasters of our age, set out to discover what lies beyond fear and speculation. In this magnificent work of investigative journalism, Ripley retraces the human response to some of history’s epic disasters, from the explosion of the Mont Blanc munitions ship in 1917–one of the biggest explosions before the invention of the atomic bomb–to a plane crash in England in 1985 that mystified investigators for years, to the journeys of the 15,000 people who found their way out of the World Trade Center on September 11, 2001. Then, to understand the science behind the stories, Ripley turns to leading brain scientists, trauma psychologists, and other disaster experts, formal and informal, from a Holocaust survivor who studies heroism to a master gunfighter who learned to overcome the effects of extreme fear. Finally, Ripley steps into the dark corners of her own imagination, having her brain examined by military researchers and experiencing through realistic simulations what it might be like to survive a plane crash into the ocean or to escape a raging fire.